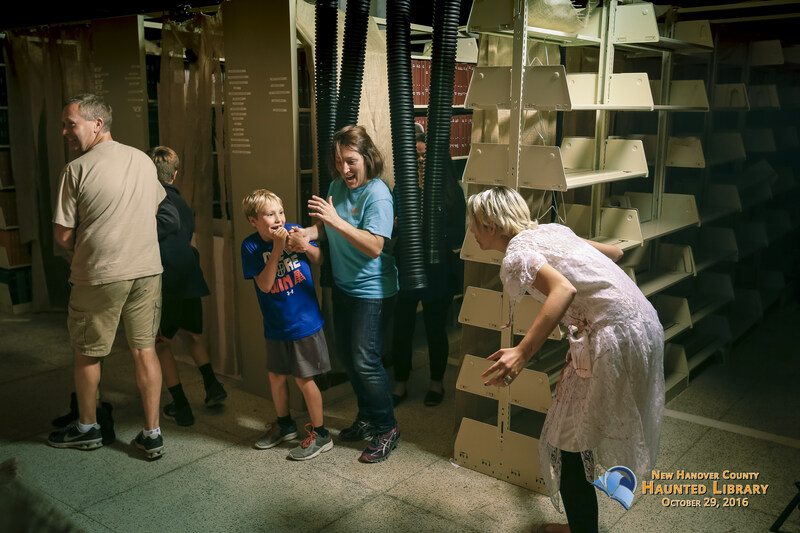 Are you brave enough to enter NHCPL's terrifying Haunted Basement? WARNING! Enter at your own risk. This haunted house attraction is SCARY. Not recommended for all ages. Free admission & free parking available in the parking deck next to the library. Free comic books provided by Memory Lane Comics. The Haunted Basement entrance is located on Chestnut and 2nd Street. For more information, contact Mr. Scooter at 798-6393 or e-mail shayes@nhcgov.com.